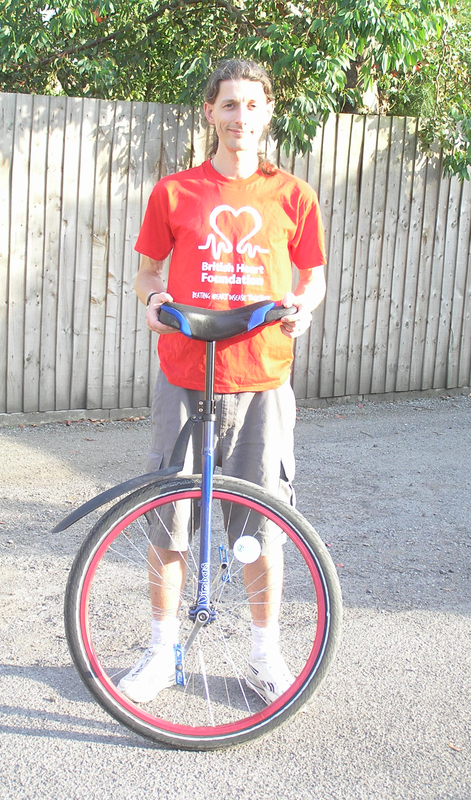 Software engineer Peter Haworth is facing an uphill struggle as he gears up to ride 140 miles across the country on one wheel. 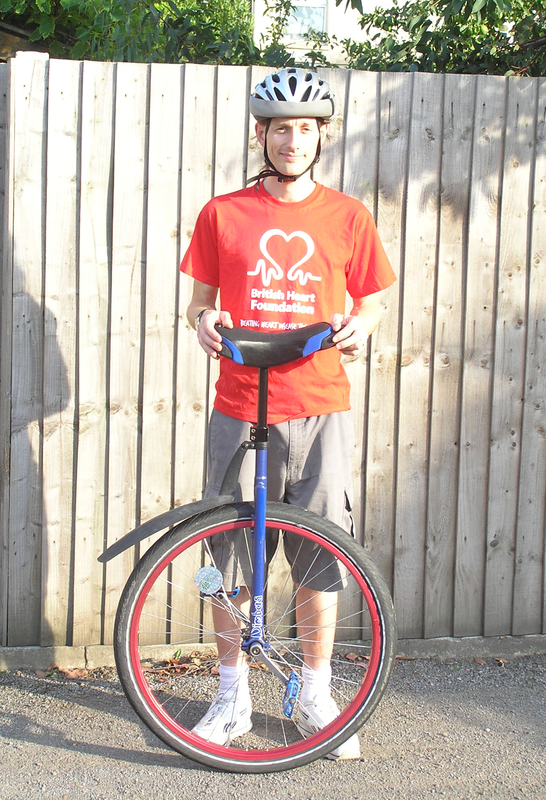 Peter, 39, rides the 2.5 miles to work on his unicycle every day in Bristol, but on the 23rd of August, he will be joining a small group of fellow one-wheelers who plan to ride the Sustrans Sea to Sea Cycle Route, in order to raise money for the British Heart Foundation. The ride will take them from Whitehaven on the West coast, through the Lake District and the Pennines, to Sunderland on the East coast. 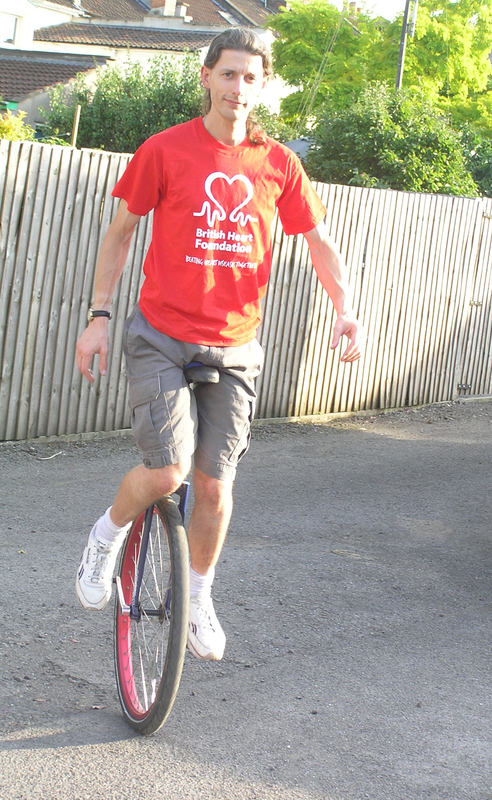 You can follow Peter’s training progress on his blog at pmh1wheel.org, and sponsor him by visiting his online fundraising page at www.justgiving.com/pmh1wheel. You can pay by credit or debit card, and the money will go directly to The British Heart Foundation. Where supporters are UK taxpayers, the charity will automatically receive 28% extra in Gift Aid, which makes Justgiving the most efficient way of sponsoring Peter. For further information or to arrange a photo call please contact Peter Haworth on 07960 159 649 or by email at pmh@cpan.org. 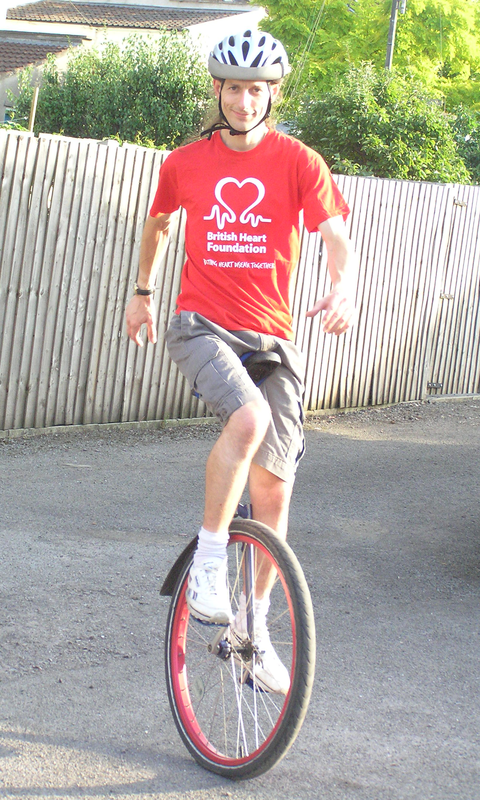 For further information on The British Heart Foundation please ring 020 7554 0164 or visit www.bhf.org.uk. For further information on Justgiving.com, please contact Mike Wells on 0845 021 2110.